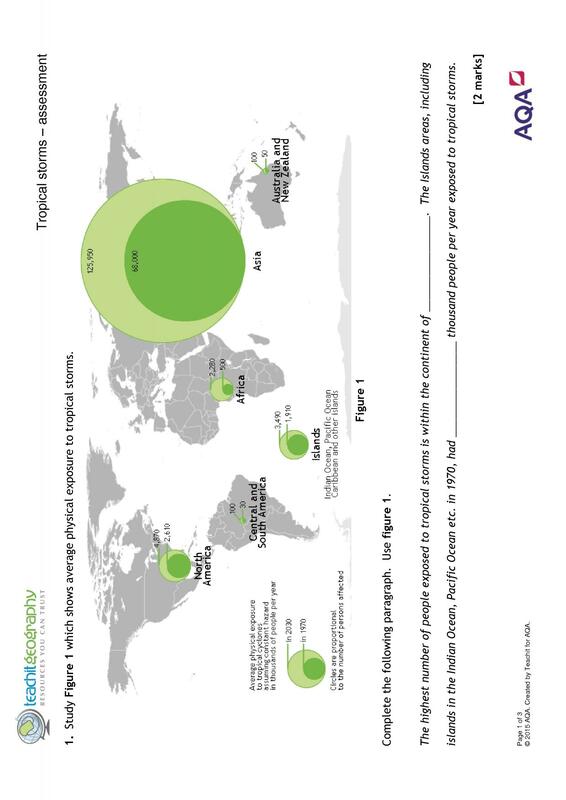 The resources on this page have been created in collaboration with AQA, to support their new GCSE specification for Geography. 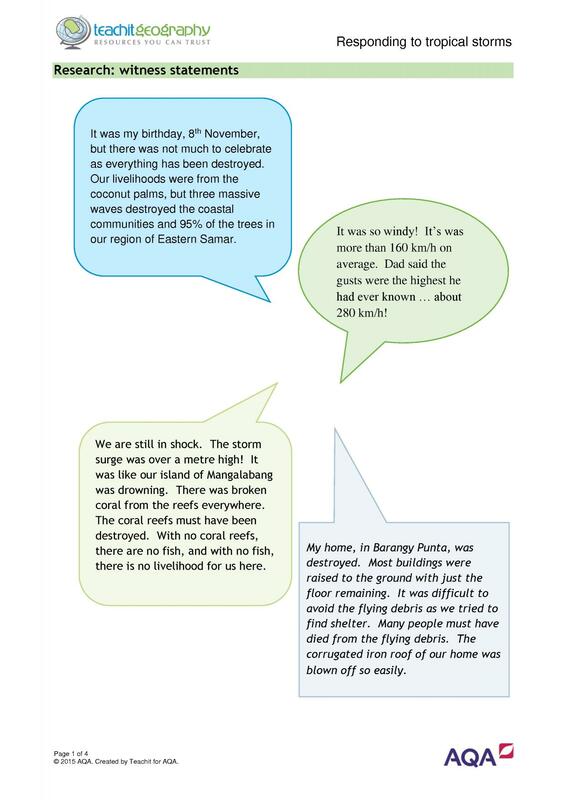 They are free so please dive in - we hope you enjoy using them! 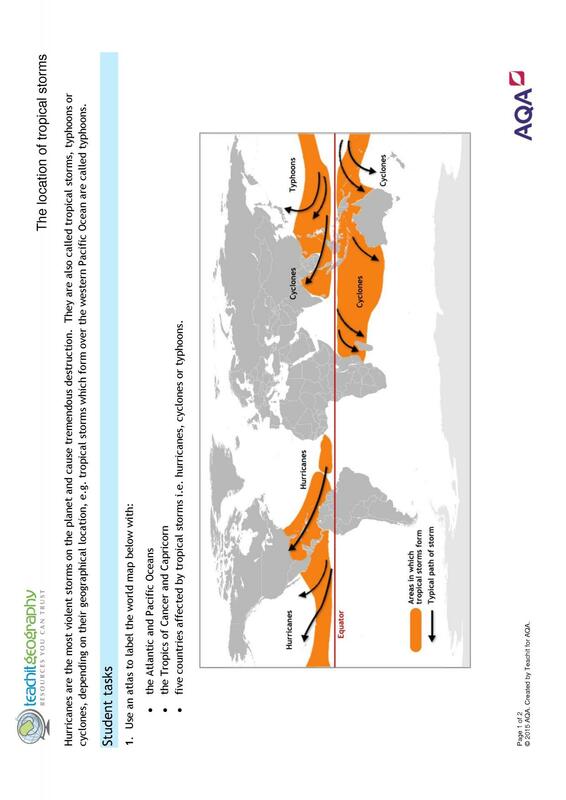 For more information about the new specification, go to AQA’s GCSE Geography page. 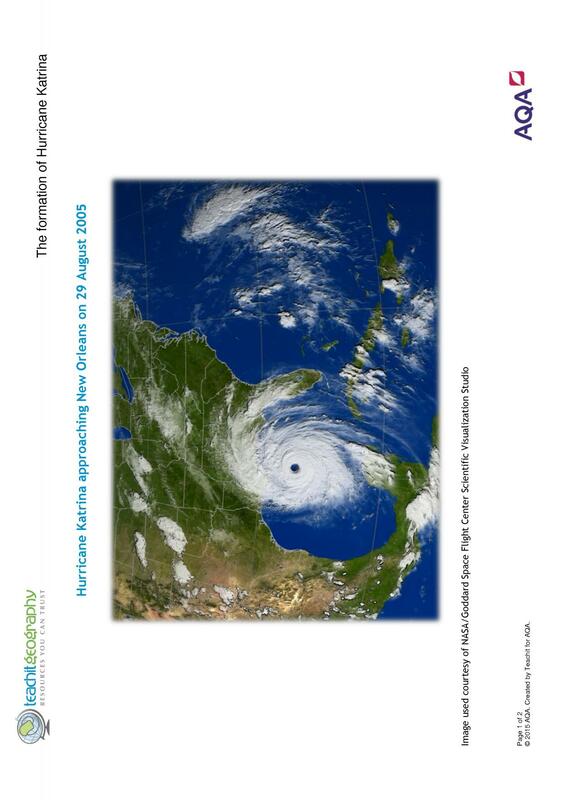 See other resources: Tropical storms GCSE teaching pack | Tropical storms: Hurricanes, tornadoes etc. 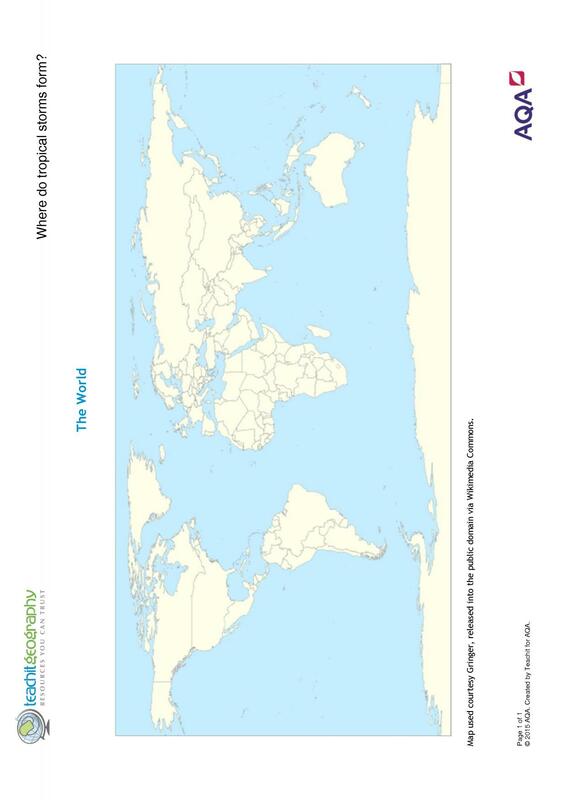 A wonderful resource. 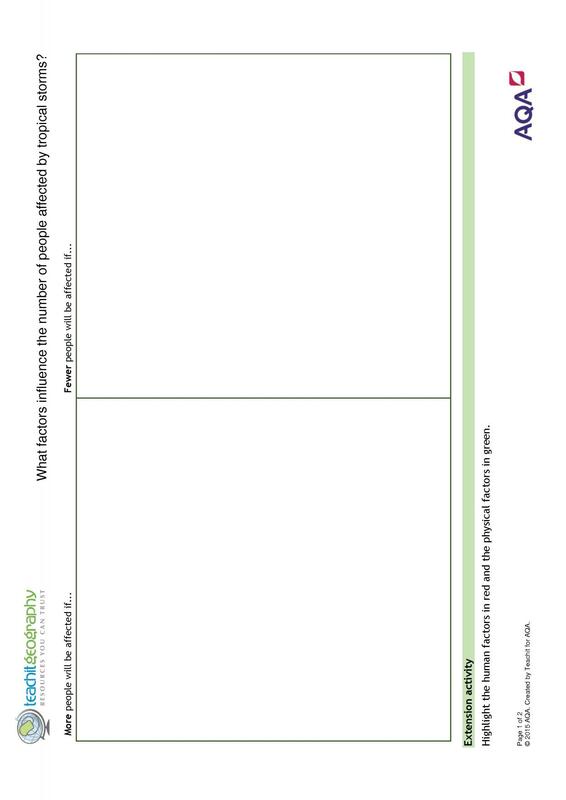 The only activity that didn't work was the scatter graph template on page 41 because the scale was too small. Thank you, practical and engaging. 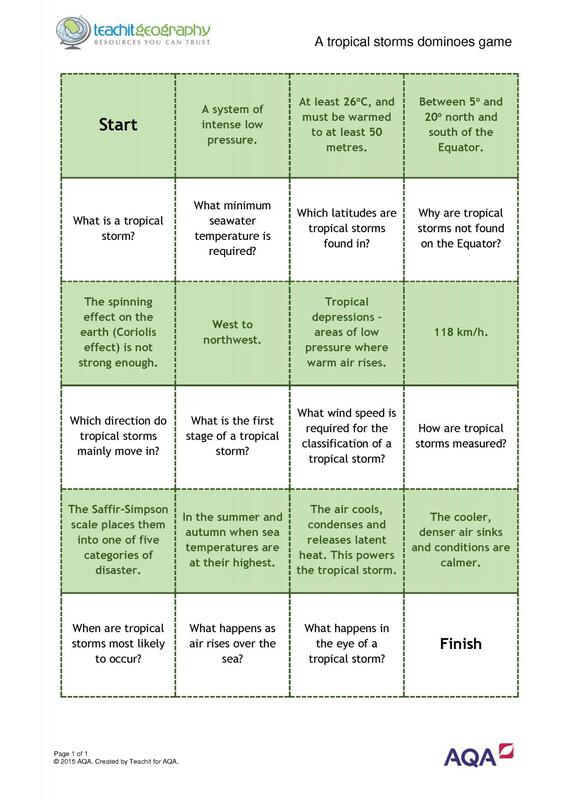 Really great resource, lots of helpful tasks for pupils which are engaging. 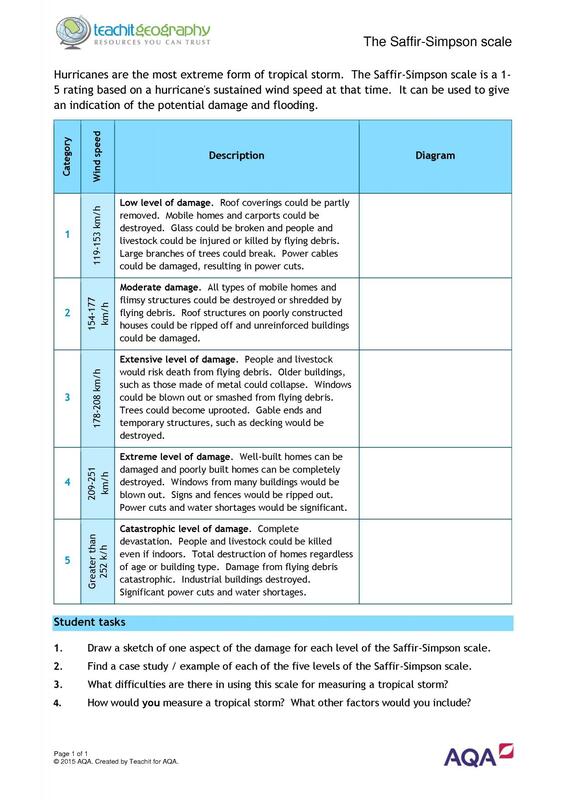 This has made planning for the new GCSE really straightforward with differentiation and extension material ready to download. 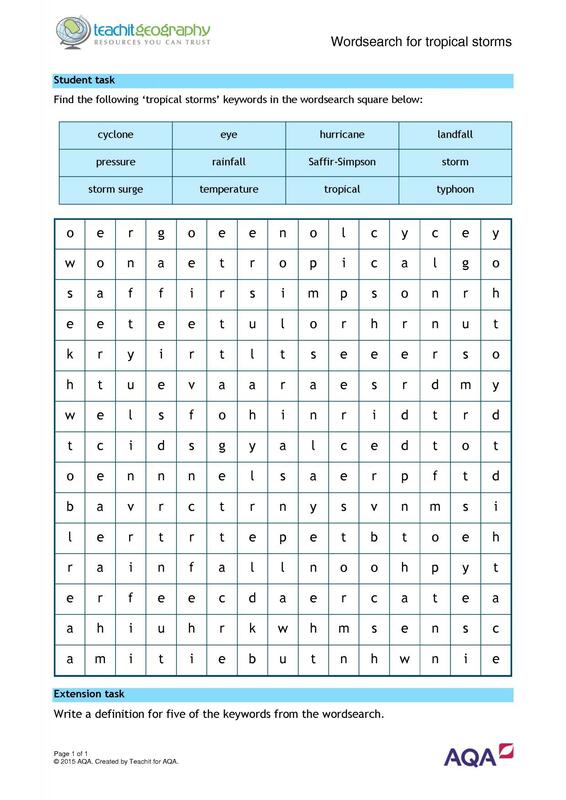 Great resources, really helpful. Thanks. 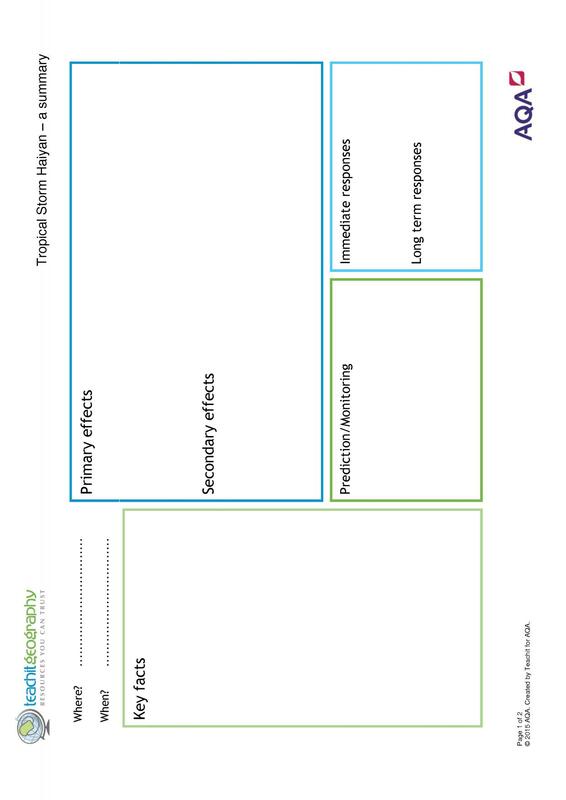 This is perfect, just what I need to resource out new KS4. many thanks! 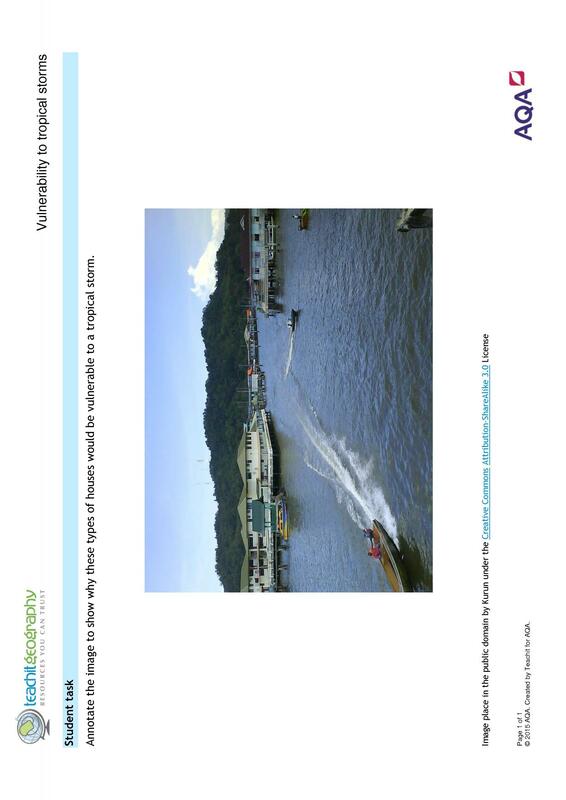 Great resource with a range of resources to engage students. Fantastic help! Thanks! Lots of interesting tasks and links. 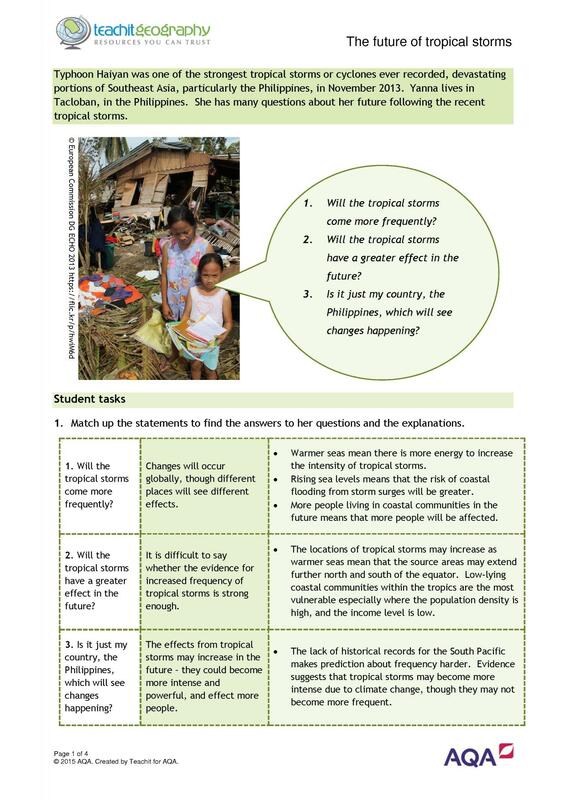 KS4 | Environment, atmosphere and climate | Published: 09/04/2015 | From the resource collection(s): Tropical storms GCSE teaching pack | Tropical storms: Hurricanes, tornadoes etc. 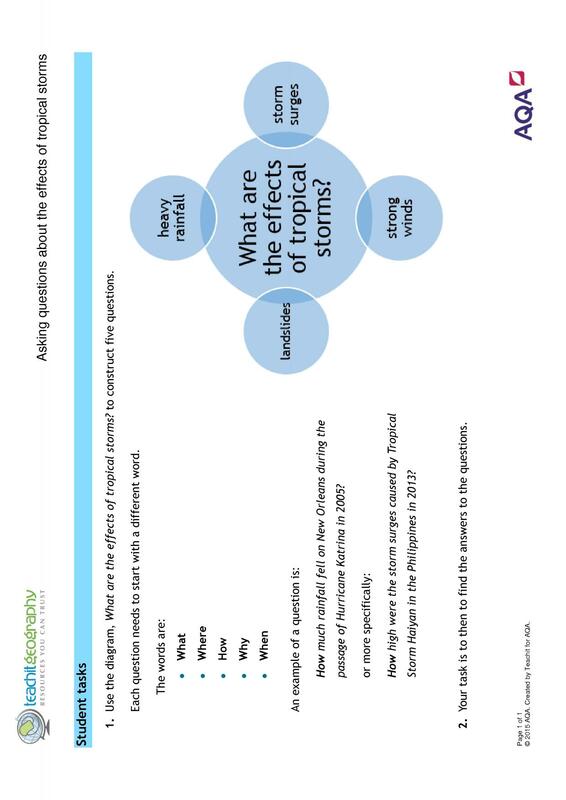 Where do tropical storms form? 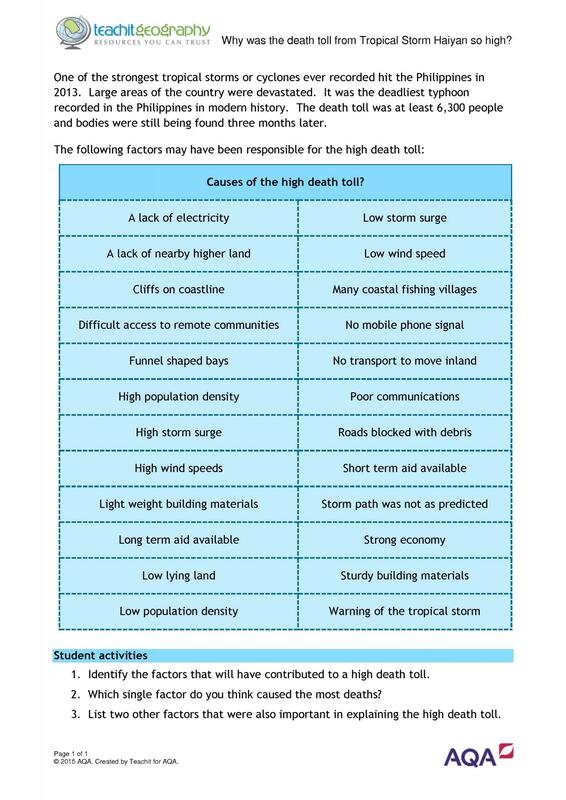 What factors influence the number of people affected by tropical storms? 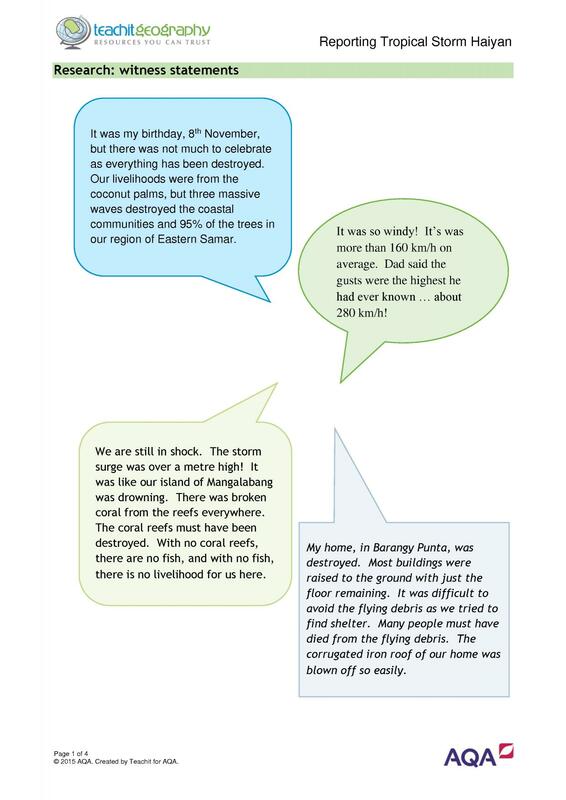 Why was the death toll from Tropical Storm Haiyan so high? 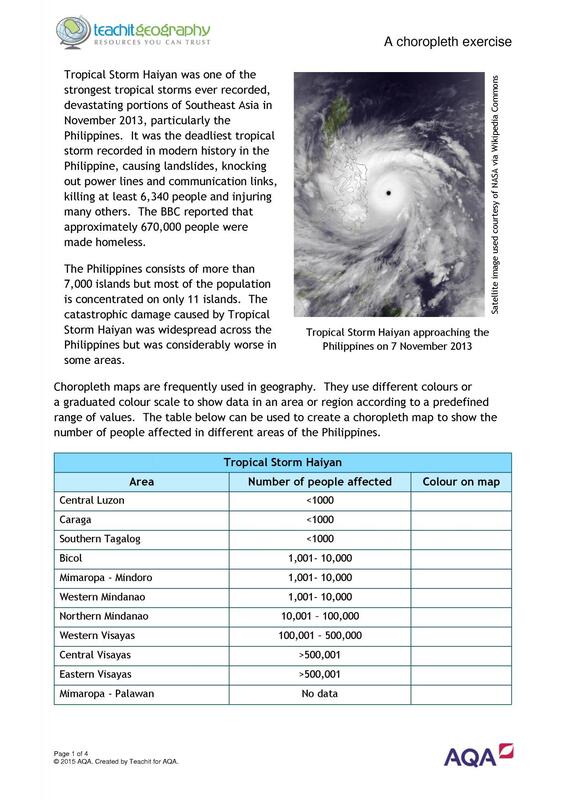 KS4 | Environment, atmosphere and climate | Geography skills | Published: 08/04/2015 | From the resource collection(s): Statistical skills | Tropical storms GCSE teaching pack | Tropical storms: Hurricanes, tornadoes etc. 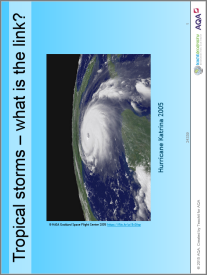 KS4 | Environment, atmosphere and climate | Teaching tools | Published: 08/04/2015 | From the resource collection(s): Games | Tropical storms GCSE teaching pack | Tropical storms: Hurricanes, tornadoes etc.